On Sunday the 17th of February Utopia Records head honcho Alex Bradley is joined by Linkwood and Alex Kassian for for an afternoon and evening of spiritual and deep dance sounds. 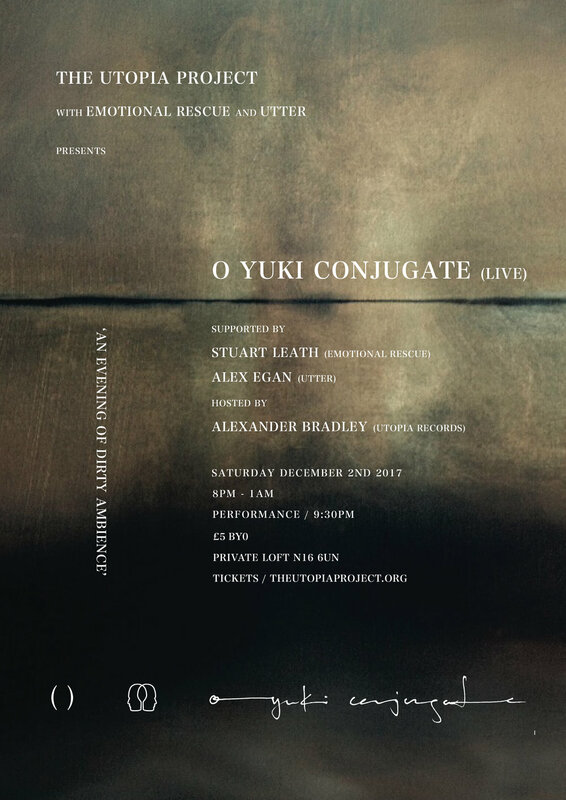 Celebrating their 35th year and their first London date in a decade, reclusive and legendary Ambient group O Yuki Conjugate plays live in Audio and Visual at The Utopia Project on SATURDAY DECEMBER 2ND. With forthcoming releases on Emotional Rescue and Utter, OYC is supported by label bosses Stuart Leath and Alex Egan joining Alex Bradley from The Utopia Project. 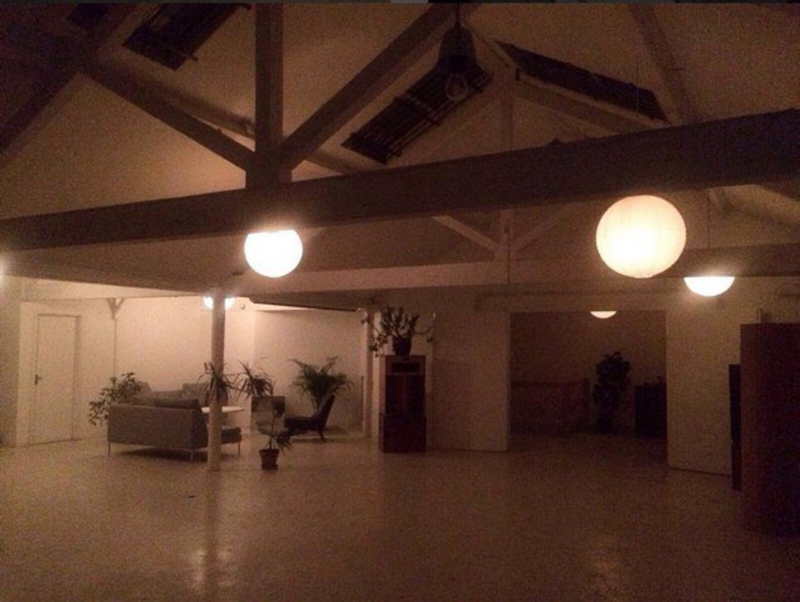 The space is a 150 person private Loft with vaulted ceiling and skylights in the back of Stoke Newington suitable for an evening of what OYC refer to as their 'Dirty Ambient' sound. Tickets are £5 plus booking fee and doors open at 8pm with the band from 9:30. please be aware the venue is a juice bar with BYO policy. Supporting Chi will be Fergus Clark fresh off releasing the exceptional new Fourth World compilation "Miracle Steps", Lost Continent and Nathalia of Intrinsic. 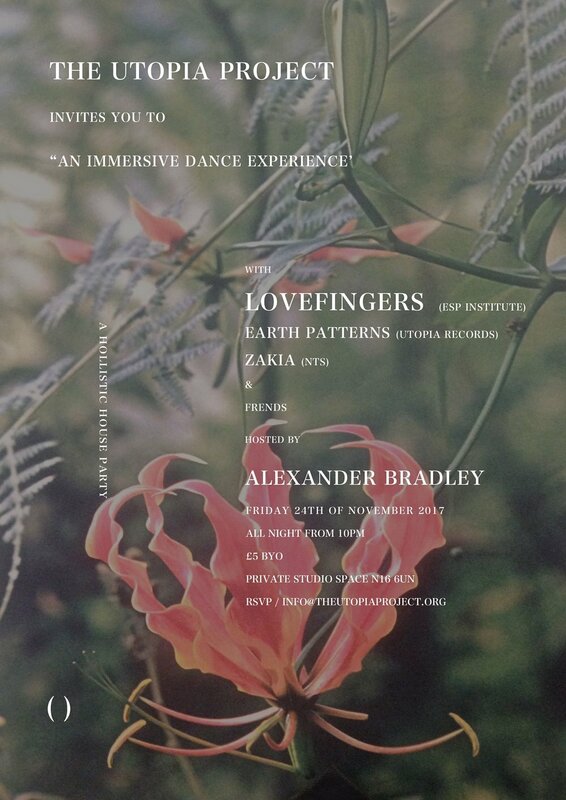 The Utopia Project is a new sound and dance experience by Utopia Records founder and NTS contributor Alexander Bradley. Vangelis Katsoulis-one of the most interesting and engaging contemporary musicians in the world today who fuses Reich-ian machine minimalism with Jazz and noir soundtrack soundscapes to create entirely his own musical palette. The Greek born artist will deliver an Audio / Visual performance for the first time in the UK in anticipation of his forthcoming release “If Not Now When” on Utopia Records. Joining Katsoulis and taking you into the night will be Music From Memory and Red Light Record’s Tako Reyenga, who was influential in re-discovering Katsoulis’ early works. With further support provided by Grif from Francis Inferno Orchestra / Superconscious Records and music aficianodo Stuart ‘Chuggy’ Leath founder of Emotional Response / Emotional Rescue and former Love Fever man, Alex Bradley. 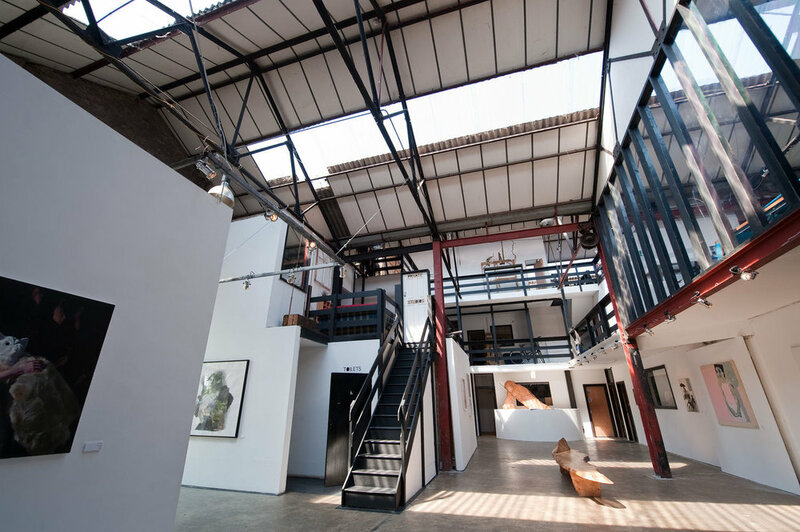 The venue is a 250 person gallery space with outdoor canal side area and mezzanine.